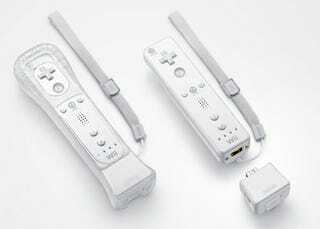 Nintendo's just announced Wii MotionPlus, an accessory for the Wii Remote. The add-on attaches to the bottom of the Wii-mote and more accurately traces motions in 3-D space by better orienting the controller. Hit the jump for the full press release details. We expect Nintendo to divulge more at its E3 press conference tomorrow. Nintendo's upcoming Wii™ MotionPlus accessory for the revolutionary Wii Remote™ controller again redefines game control, by more quickly and accurately reflecting motions in a 3-D space. The Wii MotionPlus accessory attaches to the end of the Wii Remote and, combined with the accelerometer and the sensor bar, allows for more comprehensive tracking of a player's arm position and orientation, providing players with an unmatched level of precision and immersion. Every slight movement players make with their wrist or arm is rendered identically in real time on the screen, providing a true 1:1 response in their game play. The Wii MotionPlus accessory reconfirms Nintendo's commitment to making games intuitive and accessible for everyone. Nintendo will reveal more details about the Wii MotionPlus accessory and other topics Tuesday morning at its E3 media briefing.